Attending a Computer Pals for Seniors event is always a great way to learn things you didn’t know before. If you think youngsters have the edge on all there is to be savvy about to get the best out of the technology available today, or how to best protect yourself, think again. Just this week we saw a picture posted on AvPals Facebook page showing tutors of this club learning about Windows 10 in order to pass on that knowledge - pity this writer is only 12, or 21, or some other combination of numbers just under 'mature' - could you use a few lessons in the latest! Another great example comes in this; While chatting with some of the people attending Wednesday’s function, we spoke to a gentleman who had spent a career in the technology industry and related an experience which made we three listeners aware of the fact that Australia has a specific Telecommunications Industry Ombudsman – wish I’d known this when it took over six weeks for our long held dear Telco to switch one phone from an old house to a new house just built, that is , six weeks after moving, which was four months in total after first letting them know this would be required – required as one of those in the new home has a health monitor that goes through the landline. Disgraceful really, and very distressing due to a 'not happening yet' and countless phone calls that achieved nothing, nil, zilch - all of several hours long. Having been told ourselves in years past that it would be six weeks until someone came to fix the dropout Internet line, and landline knocked out at same time too, despite running two businesses through these, and it actually being 8 weeks before anyone finally showed up, incurring loss of revenue and buying extra equipment to fill the gap, more expense, I can tell you I wish I had known they existed prior to this. Apparently the TIO was so incensed with what this gentleman had been through that his problem was not only quickly solved but the losses he had sustained due to getting nowhere with endless three long conversations x ten of these per week, that the TIO insisted he be compensated – and he was, to the tune of thousands of dollars. Good to bear in mind next time you have to keep paying for a service you’re not receiving – especially when it is vital that you do – receive what you’re paying for that is. 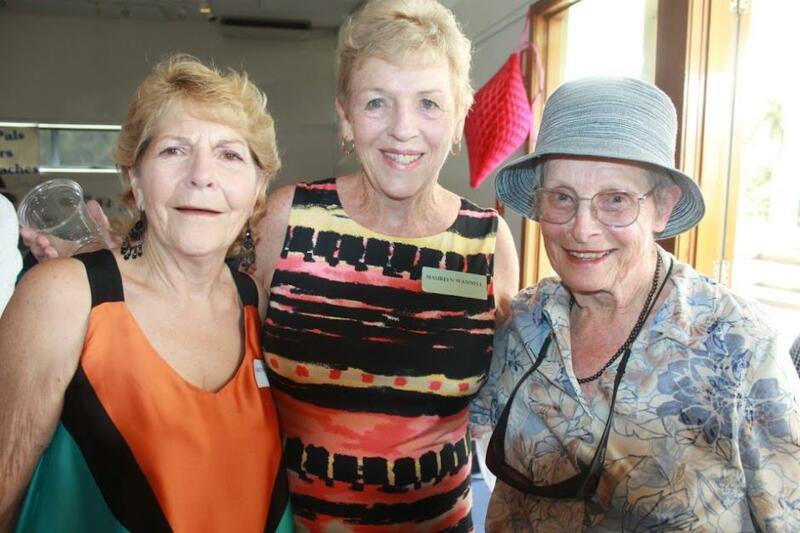 On Wednesday in the Tramshed at Narrabeen a wonderful group of people, including some of the first members, gathered to celebrate the 20th Anniversary of the commencement of Computer Pals for Seniors Northern Beaches. 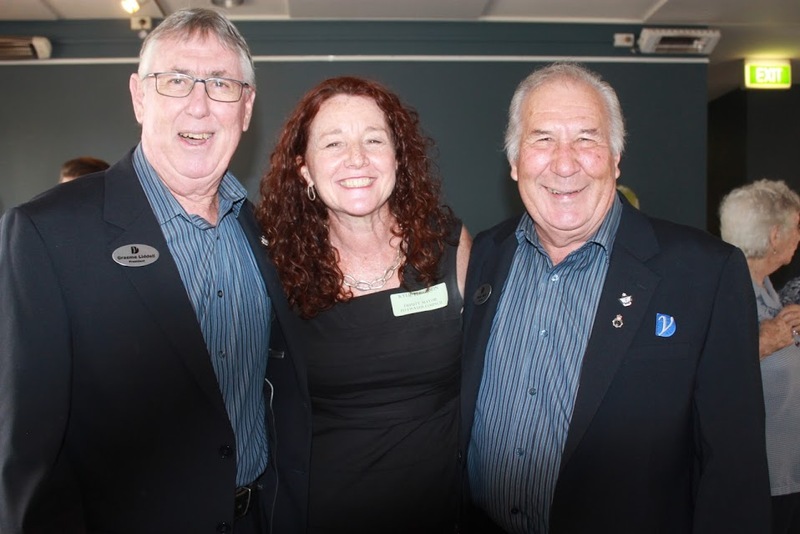 Pittwater Council’s Deputy Mayor Kylie Ferguson attended the festivities, as did representatives from Dee Why and Pittwater RSL’s, all sponsors of the club and its valuable work. A buffet style lunch with loads of salads, a wonderful cake and cheesecakes were on offer and a nice cooling soft breeze circulated the room, lifting away all those catching up with friends. 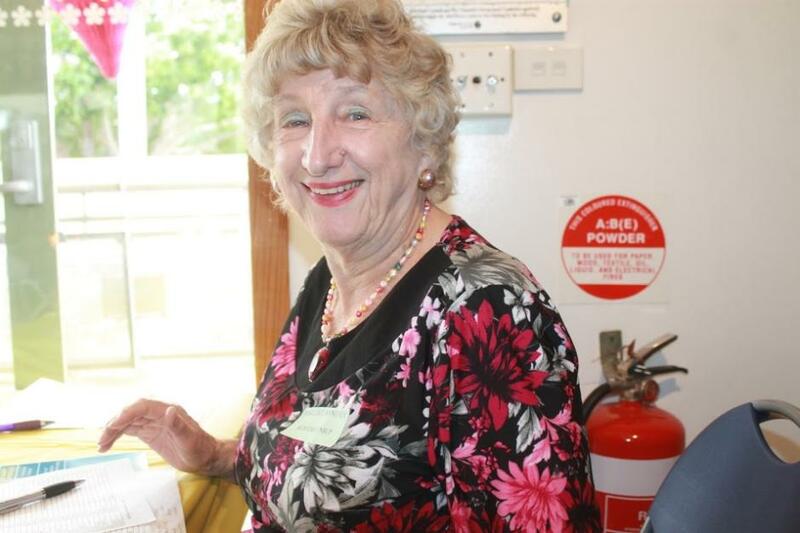 Computer Pals for Seniors Northern Beaches Inc. Celebrates 20 years of service to older Australians and their families as its volunteers have sought to help seniors explore the benefits and satisfaction of using modern communication formats. It is not possible to do justice to the 20 years of achievements and happenings within this club in this record of events, so regard the following as no more than an overview. I will concentrate on the important names and that includes several who celebrated with members past and present on 21 October 2015. 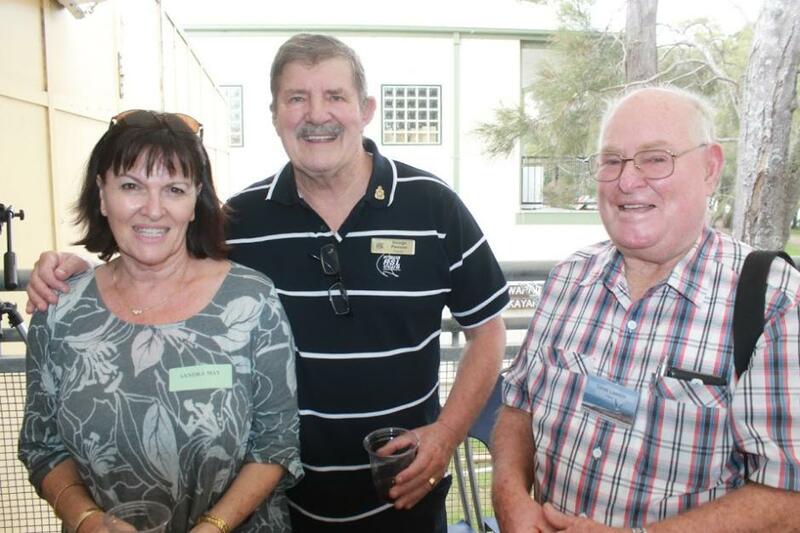 Eight people who were members during 1995 attended; that included members number 2, Elisabeth Plummer, number 3, Leone Huntsman and number 4, Bob Huntsman. Two of the 1995ers, Ken Brown (#23) and Betty Bevins (#56) are still active members! This club has had 7 presidents, 2 patrons and three homes within the Tramshed. 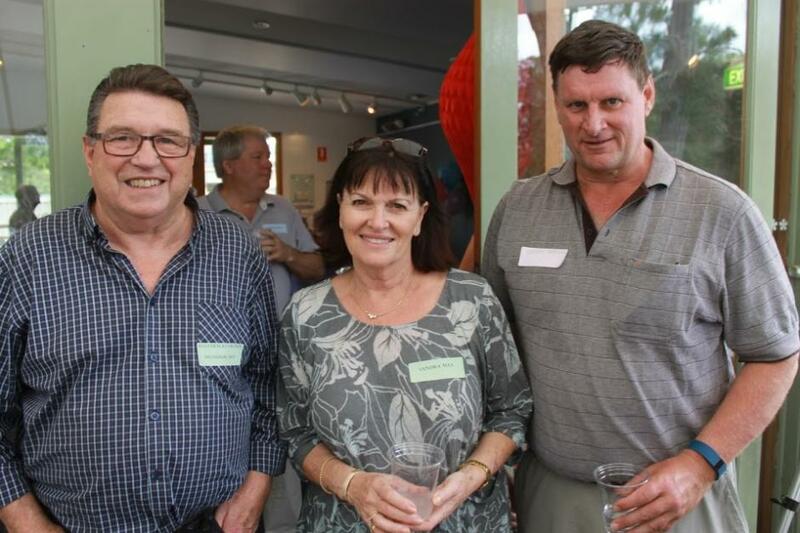 Forest club began in November 1993 at Forestville and by the end of 1995 their membership exceeded 150 and it became obvious that a new branch was necessary to take up the new growth. They made plans. On 5 September 1995 the secretary of Forest Computer Pals for Seniors, Albert Cook, received notification from the Tramshed Arts and Community Centre laying out the conditions for the hiring of The Guides Store for use by Computer Pals. A weekly rent of $15 would be charged and needed to be paid 3 months in advance – it included the electricity usage. A bond of $100 was required. Hall facilities could not be used when the Booklovers Club met on the second Tuesday of the month, between 10am and 2pm. Computer Pals were to take over the rental and payments on the existing phone extension in the room. The group was also to pay the cost of the installation of a telephone extension to the Rangers Den and boatshed. A club had first been promoted in October 1995 by Forest Computer Pals for Seniors. 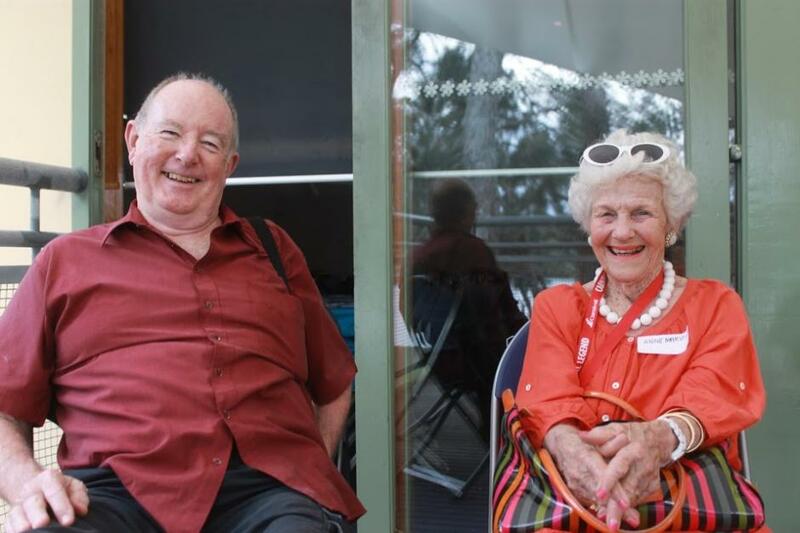 By January the new club, sometimes referred to as the Tramshed Computer Pals for Seniors Club and otherwise as Northern Beaches Computer Pals for Seniors, had more than 70 financial members. Forest had made a submission to Warringah Council seeking funds to help with the establishment of the new club and just in time for the opening equipment was purchased enabled by that grant. “a new 486 DX4 ‘with the works – CD rom player, sound card and modem.” Previously the club had been operating with one computer donated by Forest and two second-hand 286 computers. Amongst the donated software there was Teach me to use my Pc; Teach me DOS and Teach me Windows 3.1. The first general meeting of the Tramshed Club Steering Committee was held on 7 December 1995. Office bearers were elected. Wal Anderson, former President of Forest Club was nominated by Leone Huntsman and seconded by Jim Tregonning. He was elected unopposed. 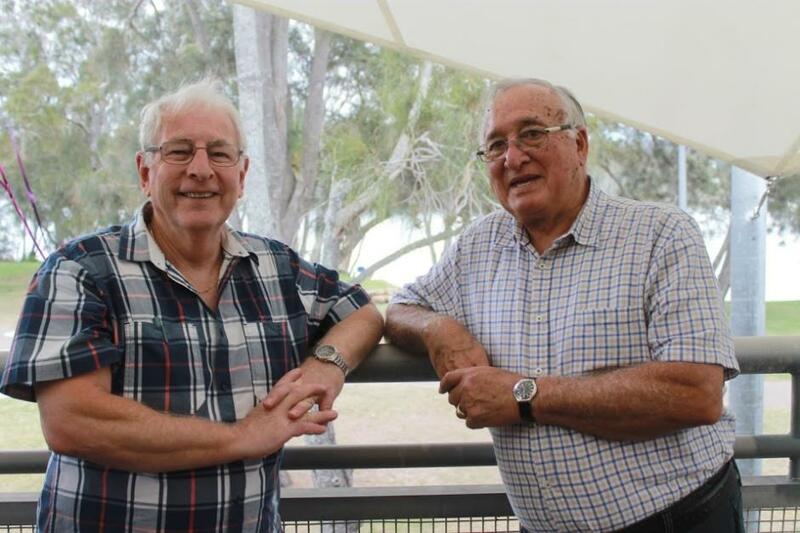 Wal stressed that he would undertake this responsibility as an interim measure, intending to train a local Northern Beaches member to take over from him. Leone was nominated by Doreen Hinton and seconded by Reg Flew and was elected unopposed as Secretary. 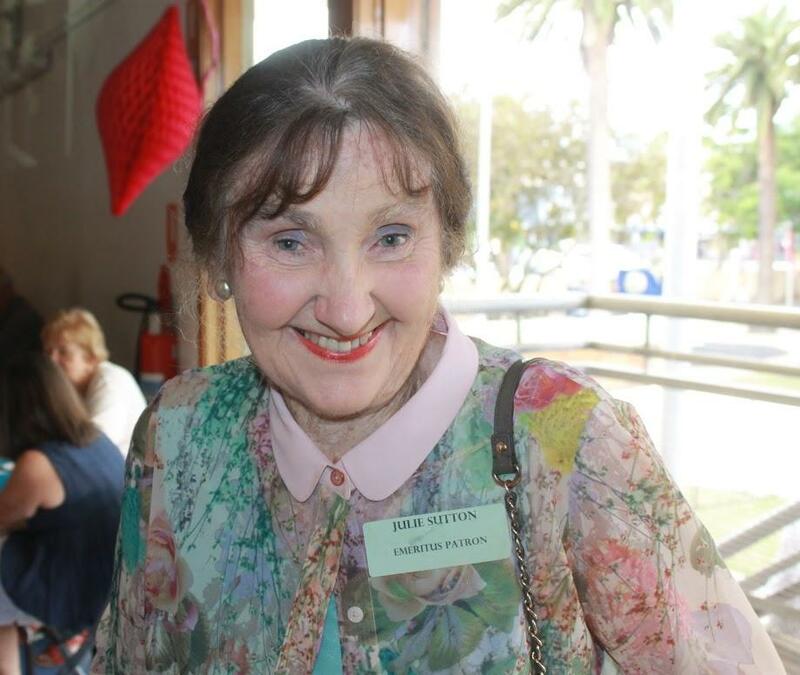 Betty Bevans was elected as a committee member. In November 1995 a Club Newsletter for Tramshed Computer Pals for Seniors Carried the Number 1. 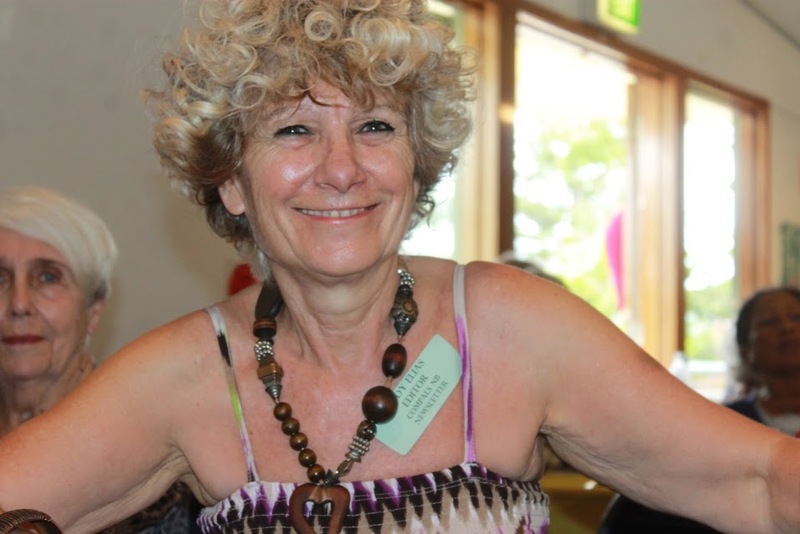 5 February 1996, Julie Sutton, Mayor of Warringah declared the club officially open. Let me describe the layout in the new club! It had a just-wide-enough desk along the side wall that was home to our computers and there were chairs for students and trainer. Right at the end of the room there was a small cupboard with a printer sitting on top of it. Anyone coming in the door when those chairs were occupied had to adopt a crab like form of walking as there wasn’t room to actually fit. It was summer and it was hot and stuffy but the club had a home and was operating. Wal and the team from Forest and the new members were happy. The February 1996 newsletter still carried a message asking for someone to please design a logo. To Bridge the Generation Gap – the club offers tuition in computer skills to any interested seniors assisting them in removing the barriers and demystifying this area of modern life at the same time enjoying the club’s atmosphere. 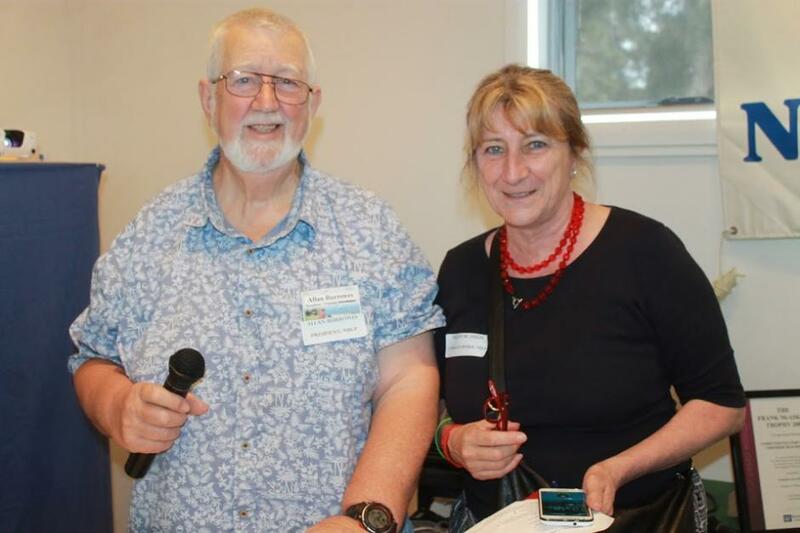 I got to know Wal when he called at Pittwater Council to talk to me about promoting his Tinitus Group. I was the Community Development Officer for Aged and Disability. I didn’t really know much about Tinitus – I do know. Each month he would come in and the visits became more frequent when he learned that I was about to retire. He told me about the ‘little computer group he was involved with. He was good at understatement. He suggested that I should join when I retired. I did join when I retired in August 1996 and I wasn’t very impressed with the hot, cramped tiny training room. I was far less impressed when the first thing I asked of the club was flatly refused! I needed to get a new computer and all I asked was what computer should I buy. Wal quickly told me that here was no way he could answer that question. A FLAT REFUSAL! I calmed down when he explained that he would help me decide for myself and then take me to see someone to make the computer of my choice at a senior friendly price. The first annual general meeting of the club now known as Northern Beaches Computer Pals for Seniors was scheduled for 17 October 1996 and Wal asked me if I would nominate as president. I was aghast and had all the usual responses, too new, didn’t have time, etc. He persisted and finally I said I would nominate if it was understood that my husband’s needs were only going to increase, never decrease – I was Bill’s primary carer; so I would need to do a lot of my work from home plus I thought the concept of teaching older people to use a computer was so good that I would want to form it into a national organisation. Rather too quickly my conditions were accepted. 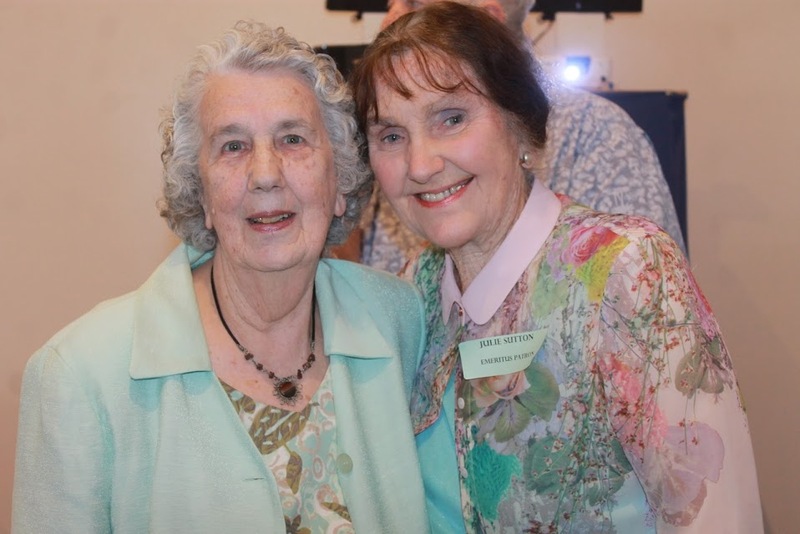 At that AGM I became President, Betty Bevins was the vice president, Leonie was the secretary and Doreen Hinton was treasurer. Ken Brown had joined the committee. Wal and his committee had set the club onto a strong foundation and the number of enrolments has proved the great need for a club located in Narrabeen. However they had not got around to incorporating or insuring the club. These became the new committee’s main tasks. We also saw the need to spread the word. Wal took on the role of club liaison with great enthusiasm. I began writing development kits and slowly we began helping new clubs to open. 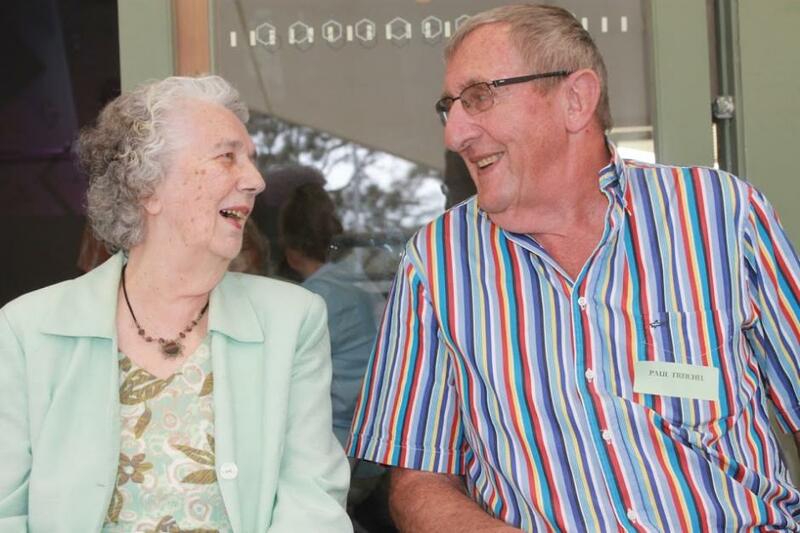 We were devastated when the Dept of Fair Trading rejected our application to register the name Computer Pals for Seniors – Northern Beaches as it was too much like Forest Computer Pals! It took some explaining to make them understand that this was the beginning of a lot of clubs with similar names and that we were all linked together. Our name was registered. Yes our name had undergone a third stage with Computer Pals at the beginning and the location at the end of the club’s name. Why did we do that – so that all the computer clubs would be found in the same place in the telephone directory (yes we still used directories then). It was a good idea but we didn’t realise that as the idea was spread many new clubs would opt for different names. We began to look for larger accommodation away from the Tramshed. One place we looked was South Narrabeen SLSC. I wonder who suggested that, maybe Ken Brown. It wasn’t necessary to move away because on 14 February 1997 we began our move to the Rangers Den. The support from the Tramshed Management Committee and hirers was greatly appreciated. The Booklovers Club helpfully suggested that we could leave our computers in their room while we made the move and set up our new area. We took out insurance with Aradlay Insurance. We had established an outreach club at the War Vets. Willandra Village would soon follow. Stand alone clubs were also beginning. Manly was the first and Wal actually became a trainer there to get it started. Incorporation was achieved and we began work on a Seminar to be held in the city with Northern Beaches as the legal auspice. The committee was working very well together. Ken Brown was becoming indispensable, the April 1997 minutes note that Ken has kindly donated a cupboard in which to keep the club’s books. The monthly general meetings with a guest speaker were very well attended and Ross King was continuing as Newsletter editor. It was a far more complicated process in those early days. Ross would collect stories where possible or mostly write the content and it would be word processed and pasted (yes real cut and paste) on to A3 pages, proof read by another person, picked up from Ross’s home by yet another person and taken to a printer in Mona Vale, the printed copies addressed to individual members for pick up at the club or to be posted (snail mail posted.) Affordable Computers was sponsoring the printing of the newsletter. A workshop on the Internet was arranged with Manly Warringah Community College for 3 October 1997 and most of our trainers attended. The world was changing. At the committee meeting held on 20 October 1997 it was decided that the club needed a patron and it was unanimous that Cr Julie Sutton be invited to be the first patron of the club. The club was invited to have a stand at the Seniors Card Computer Show which was held at Centrepoint on 6 -8 November 1997. We were overwhelmed by the interest shown in computer clubs . Wal and I did 4 presentations during the event. Some 500 people registered their interest in joining a club if one was near enough to where they lived. Our first special interest group began on 28 May 1998. Corel Draw and yes led by Win Nielsen. Win’s artistic skill with a computer has led to all the incredible graphic advances made by this club. In 1997 she produced our first pelican image. She also became the editor of the Newsletter. 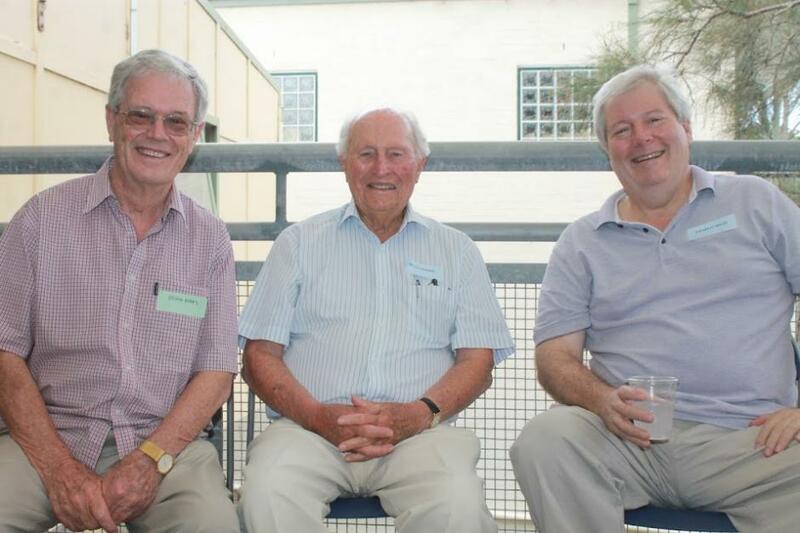 In 1998 the Australian Seniors Computer Clubs Association was formed. It may have been one of the condition I gave when I became president but the idea was not mine alone. As usual it was a team effort. Wal, Colin Ward – then and now president of Forest Club - and I were on the steering committee and became part of the first ASCCA committee. On behalf of ASCCA may I congratulate Computer Pals for Seniors Northern Beaches Inc. on its 20 years of service to older Australians and their families. Without this club the national peak body for seniors and technology may not have happened! July 1998 and newsletter number 32 was carrying a new sponsor’s banner – Upgrade Yourself Computers was now paying to have the newsletter printed. 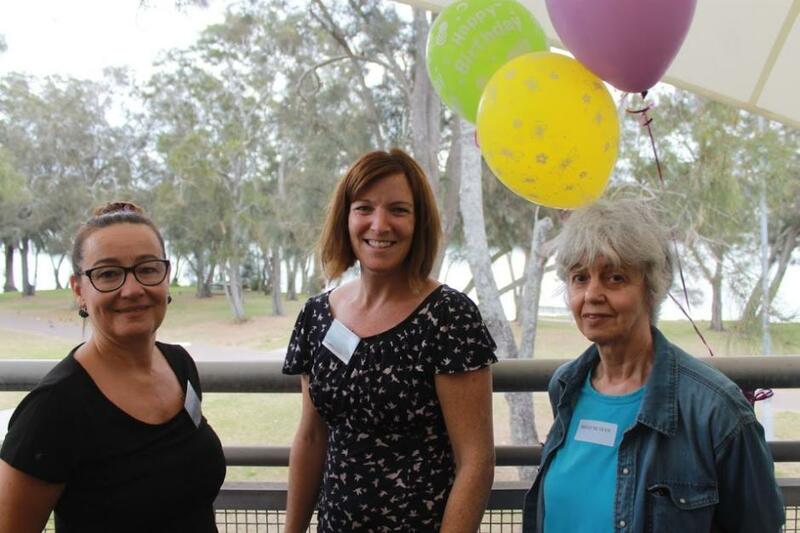 The 1998 Waringah Council grants included $1000 for us to set up a Family History Resource Unit. A special interest group was set up led by Pam Smith, Genealogy Friends. Our new interest in the Internet was great for this group. Eventually Pam had to step aside because the workload was becoming immense as so many of us looked to Pam to help us find our lost ancestors. The year 2000 came with rather a wimper because planes hadn’t started falling out of the sky and none of the other dire predictions came to be. The Millennium bug was a dud! Harold Langford was elected as our new president at the AGM held on 19 October 2000 and remained president until early 2001. Harold put an incredible amount of time and effort into revamping our constitution to bring it up to date for the new century. He also prepared the first version of our bylaws. Our membership continued to grow as did the number of trainers. The basic formative years had seen the club on a very firm footing now it was time to concentrate primarily on the training. Terry Gosling was elected as President at the 6th Annual General meeting held on 16 August 2001. Looking at old newsletters I see we have a new name and logo. The newsletter is now Pals by the Lake and Pat Kingham’s Printmaster Special Interest Group is meeting regularly on the third Saturday of the month. Terry Gosling in his report for 2003 commented: “our club must maintain its objective by enabling members to keep up with developments in the computing arena, ensuring that, within budgetary constraints we are providing the hardware, application software and the tuition in the most up to date aspects of computing. This is a good place to tell you that the incredible financial support given to us by Warringah Council, Dee Why RSL Club, Pittwater RSL Club and Pittwater Council has enabled us to keep our hardware up to date so that we can provide the needed training to our members. ASCCA negotiated with Microsoft and originally we got all the Microsoft product that we needed free and even to-day we can access software for our training computers for a minor cost. 2004 was the year of the wave. Microsoft launched its Unlimited Potential Program and ASCCA was one of the 5 foundation partners. At the launch at the Hilton Hotel David Bennett organised a link via webcam with the COTA Compuer Club and the Hilton Hotel and our most famous photo shows his encouraging Bill Gates and John Howard to wave from the hotel to those watching at 280 Pitt Street, Sydney. Definitely the year of the wave. 16 August 2006 saw the election of Pat Kingham as our president. Pat was everywhere, training co-ordinator and tutor for the Printmaster group. She remained president but stood down at the AGM held on 20 August 2009. Ron Hare was elected as our new president and he brought to the role a theatrical flair from his stage days and turned MCing into an art form. Because of ill health he resigned early the next year and the president you have when you don’t have one stepped in until the next AGM. It was during his presidency that we did make our third move and this time into a combined rooms 1 & 2 at the Tramshed. Julie Sutton again officiated at our official opening. At the next AGM Allan Burrowes became our president a role he continues to hold to-day. When Julie decided not to stand for Council again she graciously refused our request to continue as Patron and we asked Mayor Michael Regan to accept the role as our Patron. 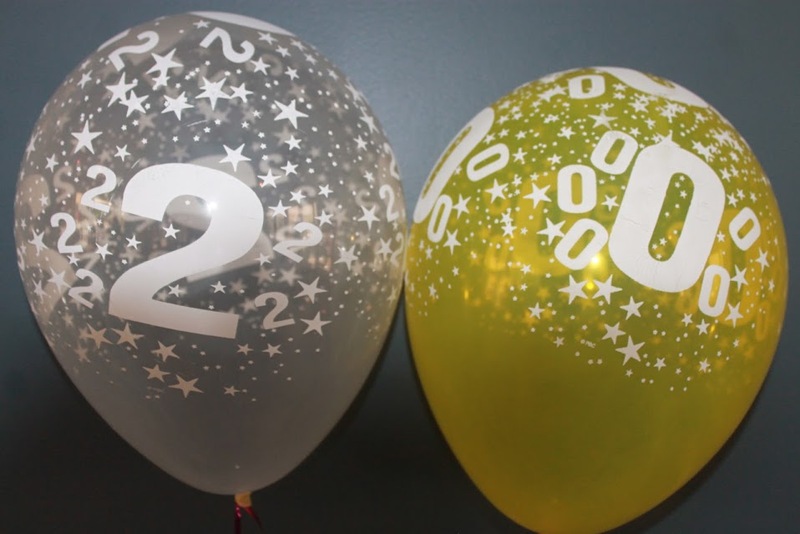 It is with pleasure that we could welcome both Julie Sutton and Michael Regan to our 20th Anniversary celebration. It has been very difficult to try and lessen Allan’s workload. In the first years as president he was also training co-ordinator, was an active trainer, did most of the maintenance work! He has taken the club from strength to strength and Ann Matthews has taken over as Training Co-ordinator and Brian Mackie and John Peachey are doing the maintenance. Judy Elias is the Newsletter editor. Margaret Randell, Helen McHugh and Nan Bosler complete the committee membership. Compals works as a team and with the skill and dedication of the members of the Management Committee and the trainers they have achieved much! This club had become an important part of the community and participate in many events and organise and run many events. We have always had strong and thorough treasurers who have shown exceedingly wise stewardship of our finances. Jim Parker has just handed over the reins to Malcolm Raymond. We are facing a drain on these finances as the Tramshed is about to be renovated and we need to be out of our home for 6 plus months. Without the wise counsel of our treasurers, particularly Jim, we would be facing the future with alarm. Happily we face the future with certainty and enthusiasm because we will have a temporary home with Dee Why RSL Club and …………yet a fourth location within the Tramshed.